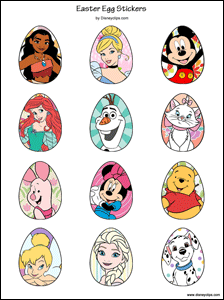 The following stickers were assembled by Disneyclips.com, and are intended for personal use only. *Hey, kids: Always have a grown-up help you to print and cut paper! Print out the sheet above on sticker paper. 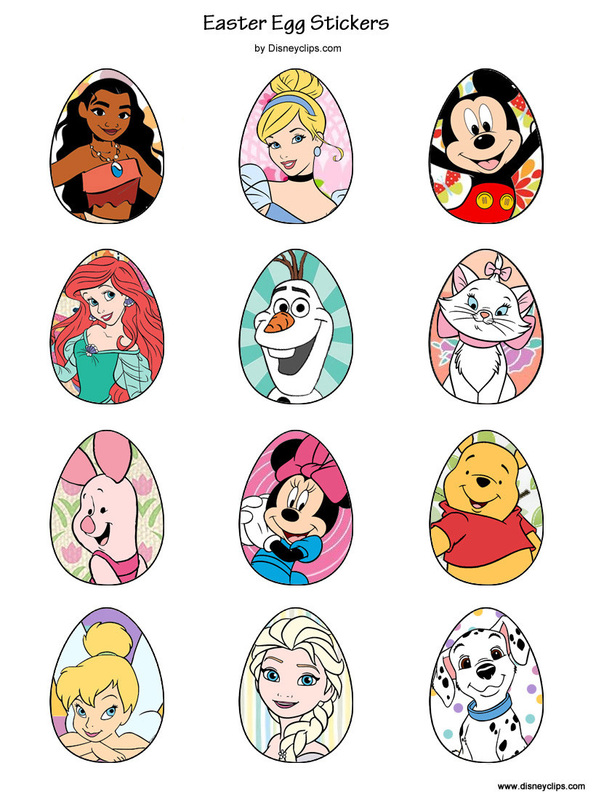 Now you're ready to decorate your Easter eggs!